Do it yourself games are a great way to personalize your child’s fun and save some money while you’re at it. 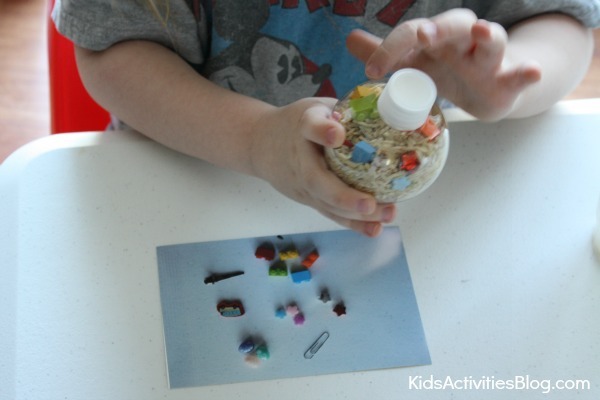 Here is a fun DIY I Spy Game. 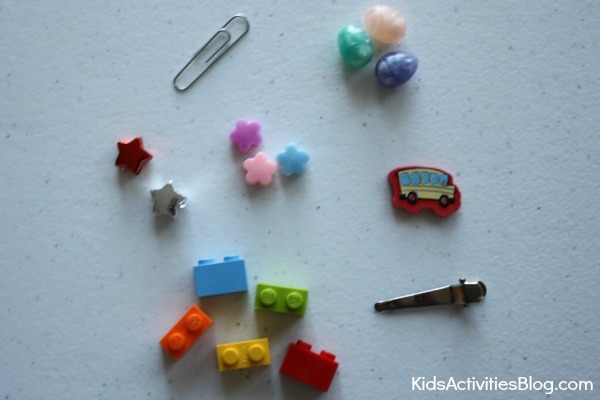 At Kids Activities Blog, we know you’ll love the ease and simple supplies needed for this cute homemade game. Bear (4 years) loves reading I-Spy books. I ™ve seen sensory bottles made based on them all over and finally decided we ™d make some of our own. At some point, I think that we ™ll also make our own book of similar picture puzzles. Before placing them in the bottle, I laid them all out and took the picture above to act as a guide for Bear to know what he had to find. As Bear was putting the items in, I noticed that he was using a pincher grasp to fit the small items into the mouth of the bottle. The fact that he got some small motor and hand-eye coordination practice was an added bonus to this activity. After all the items were added, we measured out a half cup of rice and used a funnel to add it in. This gave us a small bit of math practice. Previous Post: « MOOYAH ~ Free Turkey Burger on January 22nd + Free Burger Coupon on Facebook! I love the idea of making different bottles for different themes! There are so many things you could do with these and I know my little girl would love them. 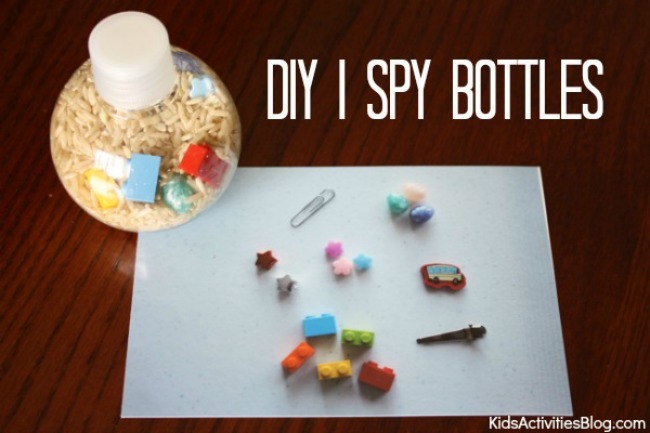 I spy bottles can be a great way for kids to learn! Thanks for linking up to Science Sunday!